Graham Jackson, Race Director for Sports Tours International added, “We are delighted to be delivering Dreams Come True’s first ever event in the North West and to be able to deliver a short distance fun run that’s suitable for all ages and ability levels is ideal. Dreams Come True is an extremely hard working charity who we have worked with for a number of years already, helping their fundraisers to participate in some of the world’s biggest and best marathon events. 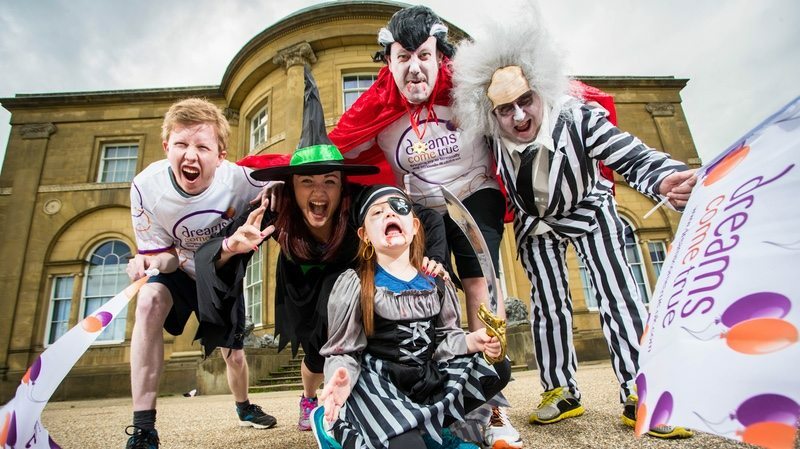 Heaton Park is one of Manchester’s most iconic open spaces, covering 600 acres and incorporating the grade one listed 18th century Heaton Hall, which will act as the backdrop for the fun run. The route itself will start and finish in the ‘Ghastly Ghost Town’ with a number of activities and attractions planned as well as out on the route itself ‘a number of spine-chilling surprises will be in store for the participants’. For all finishers of the Dreams Come True Halloween Fun Run, a special glow in the dark medal will be their reward. Early Bird race entry is £16 per person or a group ticket for four people is £40 with £1 of every entry going direct to the charity.